One of the most versatile multi-sport athletes ever to grace the halls of Lowell High School, Ethan Brown earned the rare distinction of winning All-Scholastic honors in two different sports during his tenure at Lowell High School en route to a career that has taken him to all corners of the globe as an athletic competitor. As a member of Coach Phil Maia’s Red and Gray Cross Country team, Ethan was a Lowell Sun All-Star and MVC All-Conference selection for three consecutive years (2000-2002). During his senior year (2002) Ethan was team Captain and MVP. He was selected as the MVC Runner-of- the-Year. He broke the LHS cross country course record and went on to place 3rd at the MIAA All-State Championship Meet. Ethan won Boston Globe and Boston Herald All-Scholastic honors at the conclusion of the season. Coach Maia commented, “The more important the meet, the better that Ethan ran,” a testimony to his courage and ability to perform in the clutch. As a member of the Lowell High Swim team Ethan won Lowell Sun All-Star and MVC All-Conference honors for four consecutive years (2000-2003). He was team MVP in 2000, 2002, and 2003. 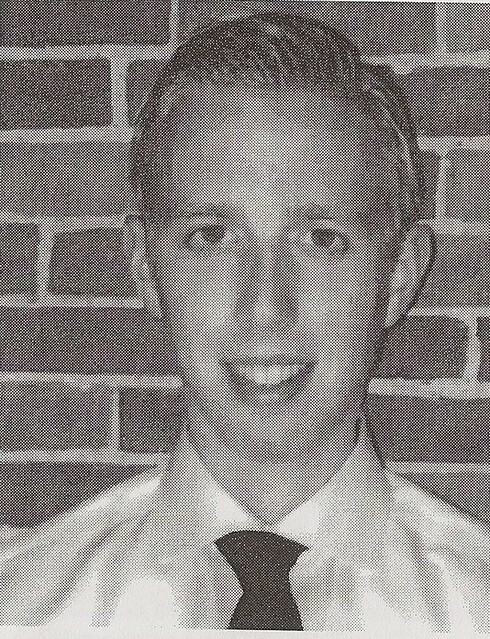 The team Captain, Ethan was MVC and North Sectional Champion in the 100 backstroke during his senior year (2003). He broke four school records that season and finished 4th in both the 100 back and the 500 freestyle events at the Massachusetts State Championship Meet. Ethan once again earned Boston Globe and Boston Herald All-Scholastic honors. A four-year member of the LHS Outdoor Track team, Ethan was one of the squad’s top distance runners and served as a team Captain during his senior year (2003). An outstanding student, after graduation Ethan attended the University of Michigan where he competed for the Wolverines’ Cross Country and Track teams. He competed in the Big Ten Cross Country Championship Meets in 2005 and 2006 and ran the 5000- and 10000-meter races at the Big Ten Outdoor Championships in 2006 and 2007. After graduation from Michigan, Ethan embarked upon a career as a professional triathlete, developing into one of the elite performers in the country, if not the entire world. He represented the United States internationally, ultimately competing in triathlons on five different continents. Ethan was the under-23 United States Champion and Triathlete-of-the-Year in both 2007 and 2008. He was also a member of the United States Under-23 World Championships Team in those years. Also in 2008 Ethan finished 3rd at the US Pro National Championships and 6th at the Pan-American Championships. In 2009, 2010, and 2011, he was a member of USA Triathlon “Project 2012,” an organization pointed toward preparation for the London Olympics. From 2008-2011 Ethan garnered 6 top three finishes on the International Triathlon Circuit, competing against the top triathletes from all over the world. Ranked #4 in the US in 2012, Ethan took part in the Olympic Trials, finishing 5th and narrowly missing qualifying for London.